Podcast to Air on ITunes Monday, March 14th. A New Podcast titled “My Stories…Chapters and Challenges” is set to hit the air waves March 14th. Inspired by the Pulitzer nominated book, Call To Witness, a true story of one woman’s battle with disability, discrimination and a pharmaceutical powerhouse, will feature guests who overcame challenges and started new chapters in their lives. 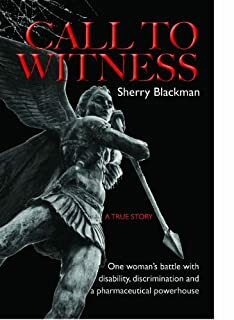 “My Hope is that Call To Witness will be an inspiration for those who feel they have no voice and who feel powerless when facing what seems like insurmountable challenges. I want readers and listeners to have the courage to take a stand against discrimination in the work place and stand against domestic violence. Also, I wish the challenges they face will be seen as a new chapter and not as an obstacle. This Podcast will welcome all without judgement or criticism; every person will be embraced completely no matter where they are on their journey,” says Host Jane Gagliardo, subject of Call To Witness. There is a mistaken belief among some employees that they can only be fired for cause, and if they are terminated for any other reason, they are entitled to a severance package, or they have grounds to sue. Pennsylvania, like many other states, is an employment at will state. That means, basically, that you can be terminated at any time, for any reason, or for no reason at all. There are some limitations on an employer’s right to terminate an employee provided by both federal and state law, which will be discussed in more detail in later postings. Does this mean that an employee must put up with a supervisor, or co-employee, who is a bully, or verbally abusive? Is an employer liable for a hostile work environment? The answer to both questions, is: maybe. Unless the offensive conduct is motivated by one of the statutorily protected rights afforded employees, such conduct is permitted and not actionable. The remedy for such permitted offensive conduct is to quit. While that may not be a good or fair remedy, it may be all that is available. If you believe that you are being subjected to offensive or discriminatory conduct, follow the policy established in your employer’s handbook, or if there is no policy, speak with your supervisor, of if your supervisor is the offender, your supervisor’s supervisor. If that is ineffective, speak with the appropriate Human Resources person. If the conduct is discriminatory in nature, the employer has an affirmative duty to act. If it is not, then there is no duty to act, although good business practice might dictate some intervention. Regardless, you should not hesitate to speak up. Also, should your employer, or the offender, retaliate against you for speaking up, that may give you an additional reason to take action. Look for a discussion of the Americans with Disabilities Act next time. It happened when I had to pick up my sneakers from a shop on Main Street in Stroudsburg. The owner and I started talking. She told me that she wasn’t going to have a booking signing, although she had promised to do so. The pharmaceutical company that I took to court for the injustice done to me was once again impacting my life.